Creating responsive educational opportunities that strengthen personal, community, and global well-being since 1999. Get outdoors, engaged in service-learning projects, and learn directly from people in your community while building leadership, outdoor, academic and personal skills. The CCLC offers a vast array of programs, events, and opportunities to the people of the Cobscook Bay region and beyond. TREE seeks to develop a model for transforming schools in rural communities like ours, and to better support the children and families who live here. Heartwood Lodge is a unique facility perfect for retreats, conferences, trainings, events and more. The CCLC also has many indoor and outdoor spaces available for a variety of events. 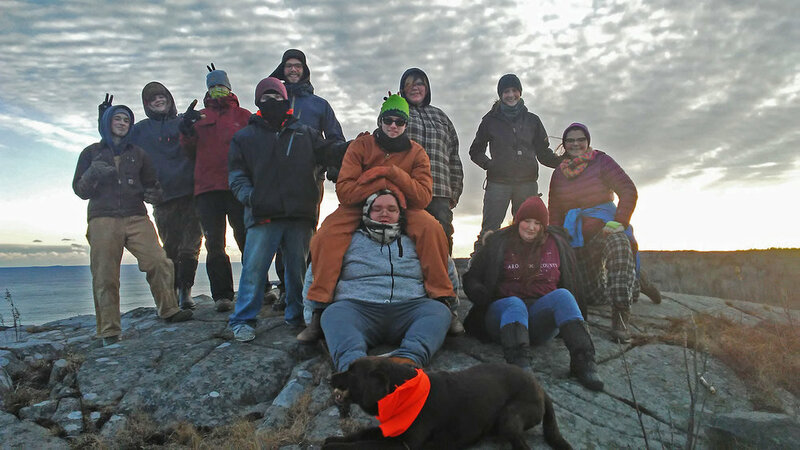 The Cobscook Community Learning Center (CCLC) began in 1999 when a group of people in easternmost Maine joined together to find ways of improving life in this region. Together, we envisioned a hub of educational opportunity. The CCLC is that hub. Our mission is to create responsive educational opportunities that strengthen personal, community, and global well-being. The CCLC is about community wellness. And that means artistic, physical, economic, ecological and educational wellness. We operate with the values of love, respect, humor, and creative bold adventure. Designed as a tool for social change, the center responds to community needs. No matter what people come here to do – take yoga, pick up new computer skills, plant a garden, get a high school diploma, start a business, or learn to play piano – they do it all regardless of their ability to pay, and in the context of an enriching, supportive community. Stop by anytime. The coffee is on. Donate to our Scholarship fund, and receive a beautiful handmade mug! The CCLC is a 501(c)3 nonprofit organization. Like most nonprofits, we rely on the contributions of donors like yourself to help us provide the programs our region has come to count on. Click below to make a one-time or recurring donation to support the CCLC and it's programs. You can also benefit the CCLC every time you shop online with AmazonSmile and Giving Assistant.